Korea’s Ministry of Science and ICT, and the National Election Commission (NEC), stated that they will develop the system before the end of the year. According to reports the NEC trialed a previous platform back in 2013 but few trusted it due to fraud and hacking concerns. The new system will increase transparency and security by including a user authentication mechanism as part of the voting platform. The government stated that all voters will be able to monitor their vote and general progress once submitted via smartphone or PC. The Seoul National University’s Blockchain Society and Korea Internet & Security Agency will also use the blockchain based system for surveys as a pilot before it can be implemented for voting. Similarly, Thailand has recently used a blockchain voting platform for recent candidate party elections. According to a Nasdaq report the Kingdom’s Democrat party used the Zcoin blockchain to register and store votes earlier this month. The party elected a leader from 120,000 voters that used the system to register their transparent votes using a Raspberry Pi or mobile app with photo ID. Thailand has been in the grips of a military dictatorship for over four years primarily due to electoral corruption and rampant vote buying. Back in South Korea, the country’s leading blockchain and crypto company, ICON has been gaining more favor with the government. According to a medium post ICONLOOP received the ‘Minister of Science and ICT Award’ as Blockchaitionn Industry Leader in Korea. It is the first blockchain company to win this award which was granted at the ‘2018 Blockchain Grand Week’ held at the Korea Science and Technology Center in Seoul. The ICON (ICX) cryptocurrency is part of the ICONLOOP umbrella and the organization has very close ties with the South Korean government. Last month ICON showcased three blockchain projects it was working on with local authorities. One of which was a blockchain based voting system used in combination with a blockchain citizen ID card. 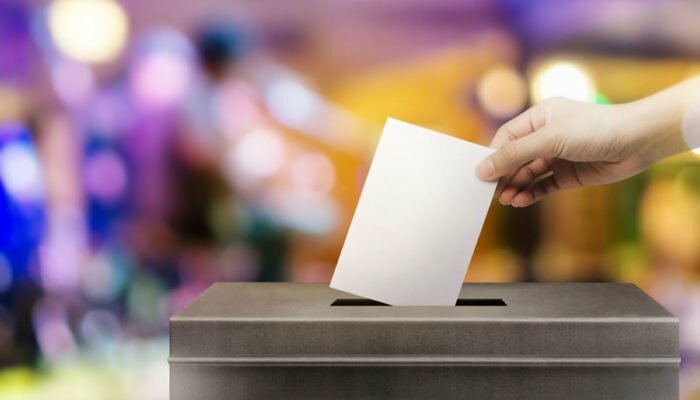 It is likely that any further developments on a voting system in South Korea will be made in conjunction with ICONLOOP though the report has yet to confirm it.